I’m thrilled to announce that I’ve finished work on a book on Microsoft OMS and related Azure services. 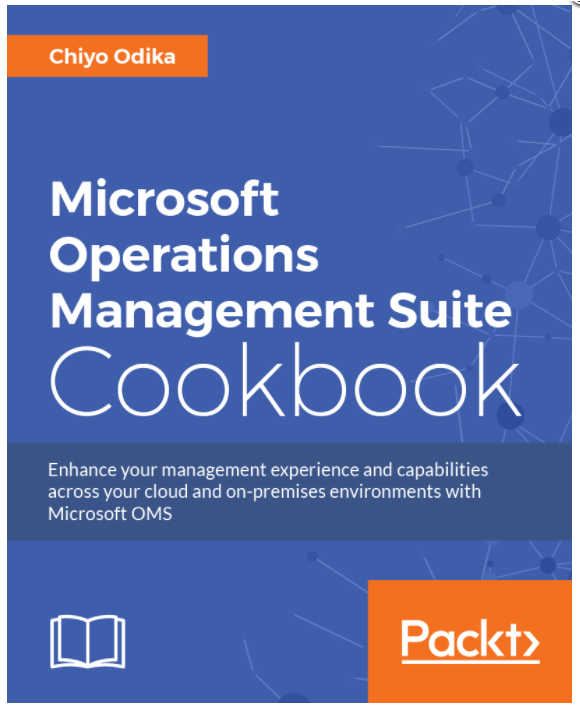 The book is part of the Cookbook series from publisher, Packt, and is titled Microsoft Operations Management Suite Cookbook. The book hasn’t been published yet, but is likely en-route to the presses and will be available in a few days. Those who know me know of my passion for building solutions to provide fundamental business value, and I’m happy to be able to share some ideas about how to accomplish aspects of this core proposition using the Microsoft Azure platform and Microsoft OMS. This project was especially interesting given the spate of releases to the OMS and underlying Azure services, and capabilities around the time that I was working on some of the illustration-heavy sections. This update cadence to the platform meant that at certain times, I had to revise major sections of the book, and even entire chapters when for instance the Log Analytics Query Language (Kusto) was introduced to replace the Legacy query language for Log Analytics. Here’s what the cover of the book looks like. You will find this book replete with strategies for understanding, utilizing and getting excellent value from the OMS solution offerings, underlying Azure services and attendant capabilities. The intended audience for this book is really anyone who is interested in utilizing the power of the cloud to transform their management experience and capabilities. My intent is that after reading this book, users will be able to configure and utilize solution offerings in OMS, understand OMS workflows, how to unlock insights, integrate capabilities into new or existing workflows, manage configurations and automate tasks and processes. Stay tuned for more information on the official release, and book links. Cheers!